There are plenty of approaches whereby you can actually hack a facebook profile. A few call for more geeky expertise into computers while others use some social media expertise and knowledge of human mindset to obtain an entry to some one’s fb account. Various tips and tricks which I am going to reveal to you are designed for knowledge purpose only. They're not really designed to cause harm to anybody, and employ them at your personal cost and risk. We shall also touch upon about how exactly to keep oneself safe and sound whenever you tend to be browsing on line. 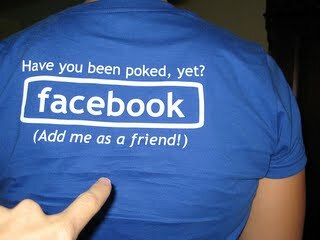 This method is another excellent method of cracking facebook or myspace accounts. 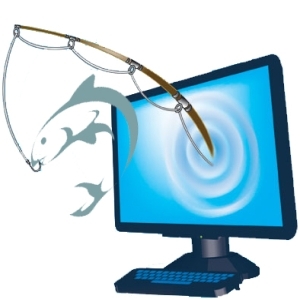 Hacker generally transmits an email message which is infected with file possessing a key logger within it. When a person presses upon that hyperlinks and triggers the key-logger, all of his/her key strokes are forwarded to hacker very easily. Nevertheless, nowadays almost all Anti-Viruses recognize these kinds of keystroke loggers, hence hacker must find an easy method around to setup Key-Logger in the PC of a person, whose Facebook or MySpace accounts is required to be cracked. In case you have the means to access the victims personal computer, then you can definitely put the trap quite easily, by just stopping the ant-virus on that particular system PC and setting up the Key-Logger. I really hope you got the things i meant. It's actually one of many most well-known exploit which has been utilized by hackers, to have an access to extremely secret data such as, account details, bank-account information, bank cards details and so on. Generally this kind of exploit is usually being carried out posing as legitimate on-line webpage, which infact it is not. Thus by getting entry to users credentials for instance security password and so on, he’ll after that very easily grab several other important information as well, of the individual. Even though it is certainly an outdated cheat, but nonetheless many individuals fall for this readily. If you are utilizing facebook more regularly, in that case , ensure that you should only click the established fb link/webpage and don't ever click the spurious, fake, facebook or myspace hyperlinks, send out to you personally by somebody by e-mail. Look for the link to the web site which you want to gain access to is true. Alternative option to prevent yourself from any scam, is to apply a very good antivirus software, that instantly recognizes and obstructs similar suspicious websites. It is really a high level cracking and requires a deep knowledge about computers. The computer virus i.e Trojan viruses, is planted onto the personal computer of the Target. 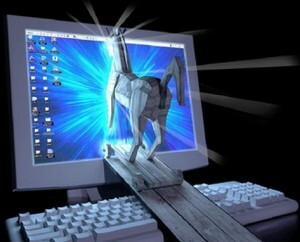 In the event the individual presses over the infected hyperlink, that may be delivered by way of an email, the Trojan malware is triggered and it opens up a backdoor over the personal computer of the target. Finally a hacker could do all sorts of things it wishes on that particular corrupted laptop. The one issue with this kind of attack is the fact the majority of the Anti - viruses recognize Trojan infections, so therefore the hacker must find a method to install Trojan's in Victims computer system. You can try the password guessing approach to get an accessibility to fb profile of whomever. The whole thing depends on just how close you're to that particular individual, and just how well you understand him or her, thus oftentimes guessing will probably get the job done. In this particular kind of attack a hacker delivers a phony email to target informing them to modify the security password plus security query, and hence makes them hand out his / her username and password quickly. And also this is most effective with, by using a phony fb user profile and after that try to gain the trust of the user or target whose account is to be hacked, then you can certainly try to make him or her to provide their security password by simply lying to him or her. You possibly can make a phony fb account of the good-looking man or possibly a lovely woman, and after that obtain his or her confidence to the degree so that they effortlessly passes on his or her security password. Actually, i know it works like a charm, as my personal myspace profile got compromised this way, plus several other linked email accounts which i utilized for joining my Facebook or MySpace profile. This is an extremely unique technique, once you learn how to fool an individual to give-up his / her fb profile security password.